If you are like me and you have shaved, waxed, or epilated, you have probably had an ingrown hair. We’ve all had them. I get sick just thinking about them. There is nothing worse than having hairless skin and having hideous looking ingrown hair spots all over your skin. Bye bye skirts and sleeveless tops. Ingrown hair is painful, unsightly, and embarrassing. Trust me I know. Years ago, after removing my hair, a few days later I noticed a dark shadow under my skin. A closer look revealed Mr. Happy Ingrown was burrowing his way merrily under my skin almost sideways. What the heck? I tried a loofah but that didn’t do anything. I even tried mashing up garlic and putting apple cider on it. Not surprisingly, that didn’t work. I remember searching for hours and hours. Sometimes, Dr. Google doesn’t always have the right answers. Worse, looking up Google images on ingrown hairs is scarier than the worst horror movie. On the internet, I once saw a guy remove the longest ingrown hair from his neck that had coiled around itself endlessly longer than the biggest snake you have ever seen. Gross. Do not watch that video. Here’s a paper bag. I told you not to. I drove myself crazy looking for answers. Would it be with me for life? I even mixed products together like a chemist. I remember I got so obsessed with getting it out. It was consuming my mind, echoing “Free Me, Free Me!” Back then, I didn’t know better and one day I just took a pair of pointed tweezers and surgically dug it out. It felt so satisfying, but so wrong. Please do not attempt this, unless you know what you are doing because you can introduce bacteria into the skin, causing a major infection. The best way to get rid of them is to learn how to prevent ingrown hairs in the first place. If you do get them, I’ll show you the best way to treat and remove them, but you can also get them professionally removed by a dermatologist. Let’s start at the beginning. An ingrown hair is exactly what it sounds like. It’s an unruly hair that fails to rise through the skin. Instead of growing out as it normally should, it disobediently curls back around under the skin. There’s another type of ingrown hair that grows sideways under the skin. One characteristic that all ingrown hair share is dead skin cells blocking the opening of the follicle. One characteristic that all ingrown hair share is dead skin cells blocking the opening of the follicle. While ingrown hair can occur anywhere, for women, we can get ingrown hair on the legs, bikini area and underarms. For men, it frequently occurs on the beard. Certain areas tend to be more prone to ingrown hair than others especially in areas where there are a lot of skin folds like the bikini area or sides of the neck. Most ingrown hair is not serious and usually clears up on its own. Sometimes bacteria can cause it to become infected. If there is bacterial buildup, this can cause inflammation, red bumps, or pus filled whiteheads to form. I know -sorry for grossing you out. Sometimes it is almost undetectable. If there is a dark spot on your skin that seems to just not heal, there is probably an ingrown hair stuck under it. Ingrown hair can cause permanently darkened skin or scarring. The hair under the skin causes irritation which leads to hyper pigmentation. The mark will remain until the hair is released. 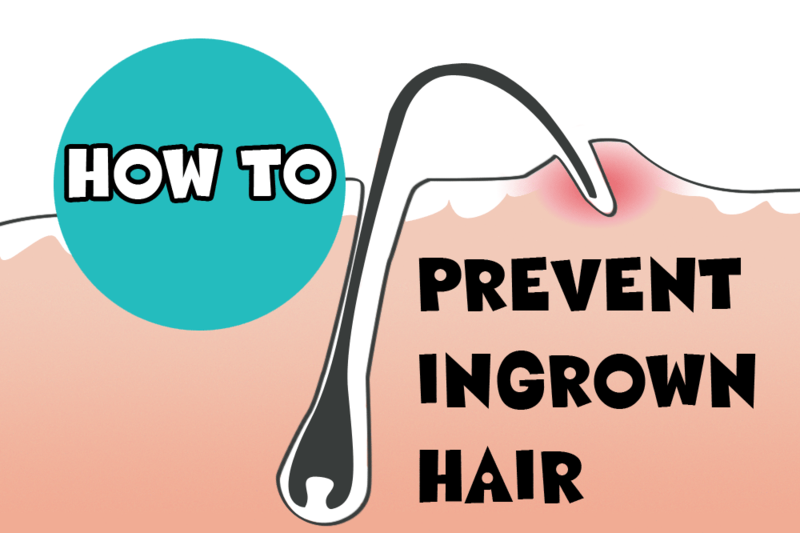 People with curly or wavy hair are more susceptible to ingrown hair, but anyone can get them. One type of ingrown hair is Pseudofollicultitis barbae which you probably know as razor bumps. Most of the time you get ingrown hair because of some method of hair removal whether it is shaving, waxing, threading, tweezing, sugaring, or epilating. The follicle can get distorted when you pull or shave hair against the growth very rapidly. This disrupts the lining that normally guides hair to the surface. The hair will start growing back that way. This is why you have to exfoliate the top layer off. Some people are prone to ingrown hair because their skin tends to kerantinize at a much faster rate, which means the follicle is closed off faster by skin. The best way to prevent them is a more permanent form of hair removal like laser or electrolysis, which kills the root. If that is not quiet in your budget, you won’t be able to entirely stop ingrown hair. You’ll have to develop a consistent routine to lessen the chance of getting them. How Can I Avoid Ingrown Hair? Whenever you do any type of hair removal, you have to exfoliate the top layer of dead skin cells. You should always exfoliate the area before you wax, shave, or epilate. A few days after removing hair, it is important to develop a good exfoliation routine while the hair grows back. Depending on your skin, you should exfoliate every day or 2 in the shower. Whenever you do any type of hair removal, you have to exfoliate the top layer of dead skin cells. If you don’t remove the top layer of dead skin, the hair might not be able to break through the surface so it becomes ingrown. We are always told to exfoliate the skin of our body. Most of us just use a loofah and that’s just not enough. There are two types of exfoliation you should be familiar with – Physical and chemical exfoliation. The best way to prevent ingrown hair is to make physical exfoliation part of your routine. While you can use a fancy sonic body brush, cheap spa exfoliating gloves work almost as well especially when used in the shower. 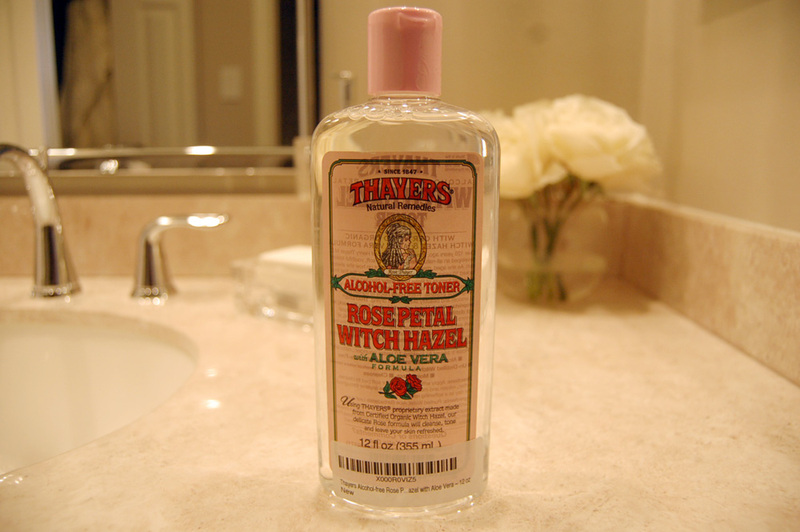 Use it with an acne wash like PanOxyl to kill bacteria. Be gentle and move in circular motions up and down the skin. Focus on the knees, ankles, and elbows. Since you are using your hands, you can go wherever you need to. You can also use dry brushing which works equally as well. The best way to prevent ingrown hair is to make physical exfoliation part of your routine. Some people like to use a body scrub, but sometimes with this it can be difficult to exfoliate tricky areas like the back of the knees. I always seem to get ingrowns in areas I forget to exfoliate. Still, a sugar scrub works fine. 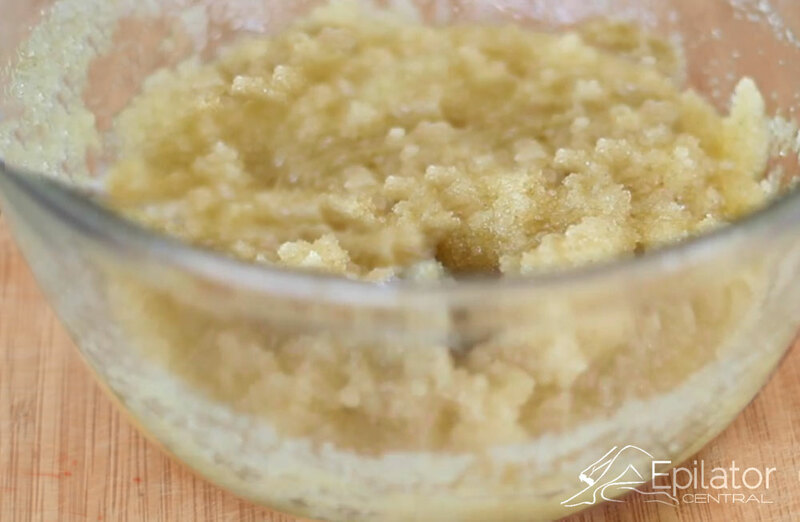 You can purchase an exfoliating soap or scrub, but you can also make your own by pouring kosher salt into your body wash or mixing sugar with olive or coconut oil. I advise against using a loofah since bacteria love these. For exfoliating the face you could use a facial scrub, but facial cleansing brushes also work well. There are two types of chemical exfoliants: AHA(alpha hydroxy acids) and BHA(beta hydroxy acid). The only BHA is salicylic acid. 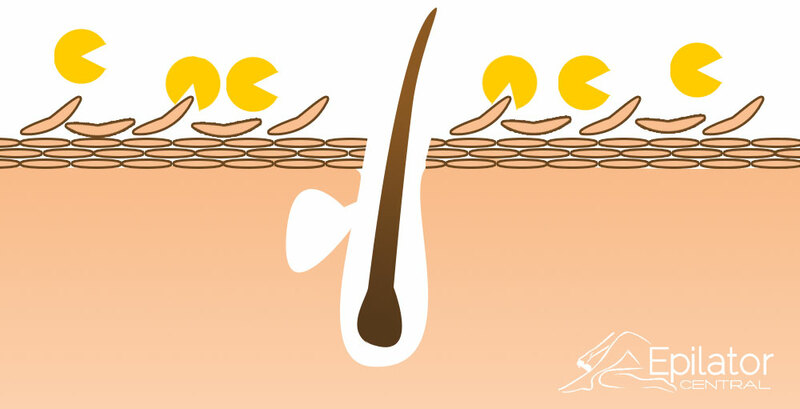 A chemical exfoliate works like little pacmen eating away the dead layer of skin. Retinol, Gylcolic, Trichloroacetic and Lactic acid are all chemical exfoliants. For ingrown hair, typically you want to use a salicylic acid combined with a glycolic acid. Gylcolic acid removes the dead skin while salicylic penetrates into the follicle to loosen the hair. A chemical exfoliate works like little pacmen eating away the dead layer of skin. These products can be extremely drying so you want to always test them on a small patch and follow the instructions closely. If you have an aspirin allergy, you don’t want to use a product with salicylic acid. One of the most common causes of ingrown hair is wearing clothing that is too tight. Do not wear tight clothes after epilating or shaving. Wear cotton clothing that promotes air flow. Tights jeans are out. For women, the most common areas for ingrowns are on the sides of the legs from wearing too tight pants or along the bikini line. Wear soft, slippery, cotton clothing that promotes air flow especially for your bikini area. I thought it would be fun to cover some of the most popular remedies on the internet. The aluminum is supposedly anti inflammatory. Many people swear by it. It’s an old school trick that nightclub dancers have been using for ages. According to other dancers, you can also use diaper rash cream. I haven’t been able to shave with neosporin since it clogs up the razor. So just apply a thin layer after removing hair. It is an antibiotic so be careful using it too much. Always remember to exfoliate, shave, and then moisturize. Most of the time ingrown hairs are caused by improper or over shaving . If you try to get a very close shave by shaving against the growth, use a dull razor, or shave on dry skin, you can get ingrown hair. Typically on men this happens on the sides of the neck. For men, a pre-shave oil can help. When you shave your hair improperly or the skin is not soft enough, the hair will curl under the skin, creating a bump. The best way to prevent this is to use a new razor, shave with a clipper, or use a depilatory instead. Most of the time ingrown hairs are caused by improper or over shaving. If you are prone to ingrown hair, shave in the natural direction of growth. 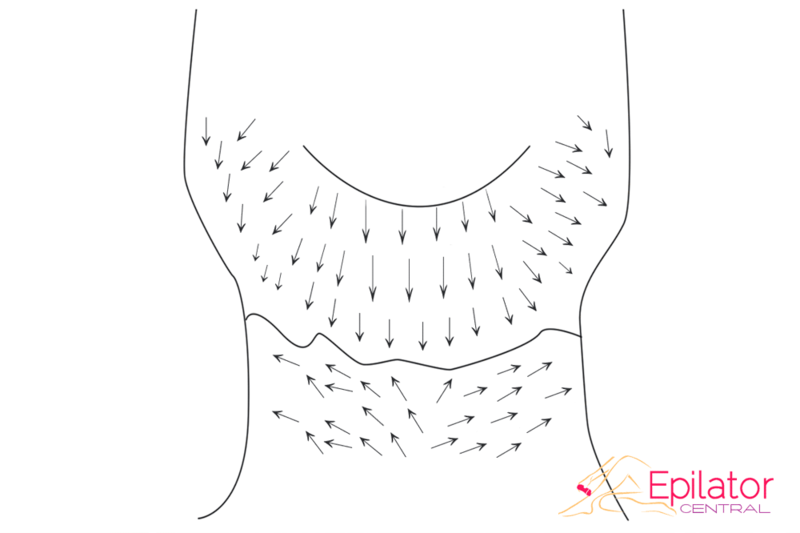 Most men get ingrown hair on their neck where the hair changes direction. On the neck there is an invisible line where the hair switches its direction and grows upward so you want to use upward strokes as well. For women, shave at the end of your shower when the hair is softened. Never dry shave. 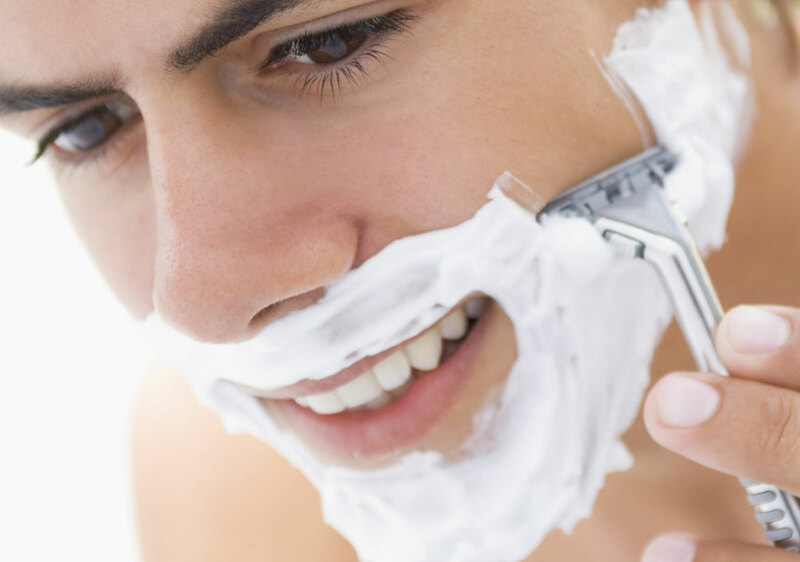 Apply a protective shave gel instead of cream to help lubricate the skin. You can also use a hair conditioner since it works just as well. Most women can shave their legs in the opposite direction without getting ingrown hair. Finish off by moisturizing your legs or face. After 2 days, don’t forget to exfoliate so that the hair can break through the surface of the skin nicely. We tested and reviewed all of the most popular epilators. Some people believe that certain epilators can cause a greater number of ingrown hair. This may be true since the tweezers on different epilators rotate at different speeds. If you find that your epilator is breaking a lot of your hair, the probability of that hair becoming ingrown is greater. Skin will cover the broken hair, blocking the hair from exiting. There are things you can do while epilating to minimize the chance of ingrown hair. There are things you can do while epilating to minimize the chance of ingrown hair. Just as important as buying a good quality epilator is using the right technique. If you get a lot of ingrowns, don’t go fast or move in rapid circles. Use short strokes with slow steady controlled movements against the growth. I know it can be tempting, but going fast will break the hair. Epilators work better on shorter hair. Trim the hair down to about 1/8 of an inch or wait 2 days after shaving. Before epilating, remove dead skin cells by exfoliating. When you remove the hair by epilating, there is a longer period for dead skin to build up over the hair. When the soft tips of the hair grow back, they won’t be able to push through the surface of the skin unless you exfoliate. Before epilating, you want to completely remove any makeup, oil, or lotion to minimize friction. Then lightly apply cornstarch or a talc free baby powder against the growth to remove any additional moisture. Don’t use talc as it clogs the pores. If the hair contains moisture, the tweezers will start to slip leading to more breakage. Cleanse the skin before and after epilating with an antiseptic like aloe vera, witch hazel, or tea tree oil to prevent bacteria from entering the follicle, causing an infected ingrown hair. Keep in mind that after epilating, there are bunch of tiny microscopic open wounds that bacteria can enter. You always have to use wipe down the epilated area with an antiseptic to kill any bacteria on the skin. About an hour after epilation, you need to moisturize right on top of the epilated skin to hydrate the follicle. As the soft tip grows back in, you want to make sure that the hair can grow through the skin. Moisturizing helps the hair glide easy through the top layer of skin. Use a non comedogenic moisturizer. Anything heavy can lead to more ingrown hair since the skin can’t breathe, which causes bacteria to breed. Keeping the skin bacteria free and exfoliated will help the hair reach the surface. After about 48 hours, continue an after care regimen of physical exfoliation, chemical exfoliation, and moisturizing. Most of us get superficial ingrown hair on the legs if we don’t exfoliate. These type of ingrowns are rather easy to release since they are not embedded under layers of skin. There are several other types of ingrown hair: infected ingrown hair, encased ingrown hair, sideways ingrown hair, and cystic ingrown hair. Ingrown hair is usually characterized by the the type of lesion it creates on the skin. The typical ingrown hair that most people know is the infected ingrown hair. The hair curls in a J-shape back into the skin. When it tries to get out, it can’t so it forms a bump on the skin. The ingrown hair resembles the red infected bumps you usually get with pimples. You can take a clean toothbrush dipped in little water and brush the ingrown bump lightly for a few seconds every day to help tease the hair through. Be very gentle and don’t irritate the skin. This will soften it up, sometimes allowing the hair to poke through. These won’t heal until the hair is lifted out of the skin. Once the hair pokes through the surface, it is easy to lift the tip out of the follicle. 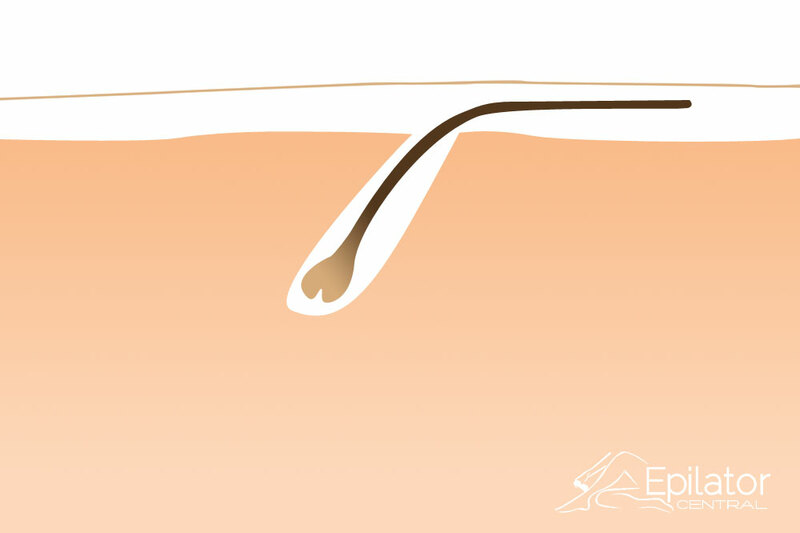 Encased ingrown hair are super annoying because they are trapped level at the surface of the skin. These look like a tiny blacks dot or pinkish red bumps plugging the follicle. Typically, they won’t get infected. Sometimes they can be improved with a combination of physical exfoliation, Benzoyl Peroxide and a 10% alpha hydroxy acid. Most of the time they require extraction or a deep chemical peel. To extract them you have the insert a sterilized needle under the loop and gently the lift the hair out. When an ingrown hair forms a loop like this, it is encased in a clear gel substance that also has to be removed. I hate these the most. If dead skin clogs up the follicle, these hairs grow sideways parallel to the skin. Sideways ingrown hair looks like a dark thin line embedded under the skin. They never break the surface of the skin and grow parallel just under the skin. Usually, these hairs do not become infected. Generally, these tend to dissolve over time. Because skin covers the opening of the follicle, these can be super difficult to remove without extraction or a strong chemical peel. It is very important to treat ingrown hair as soon as you notice them. If the hair continues to grow under the skin, it coils around itself. 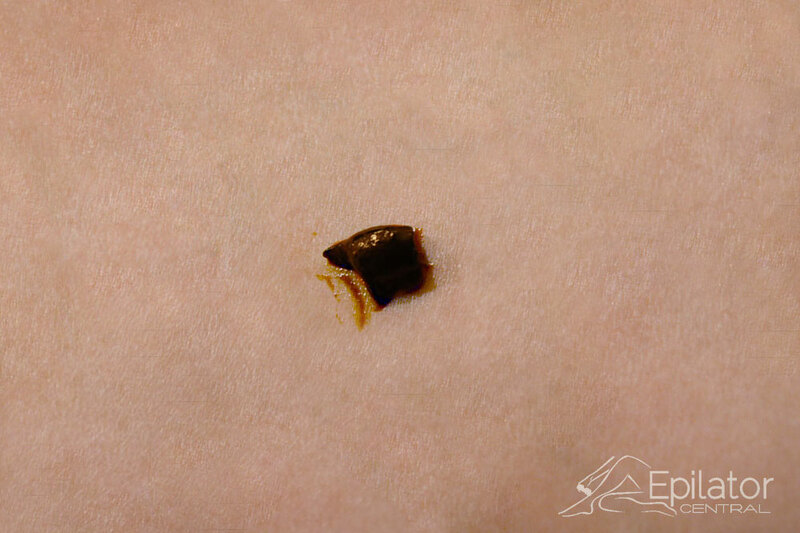 This mass under the skin can develop into an ingrown hair cyst. They look like purplish-red bumps. Because of the pressure from the hair and the infection of pus and blood, these can be very painful. 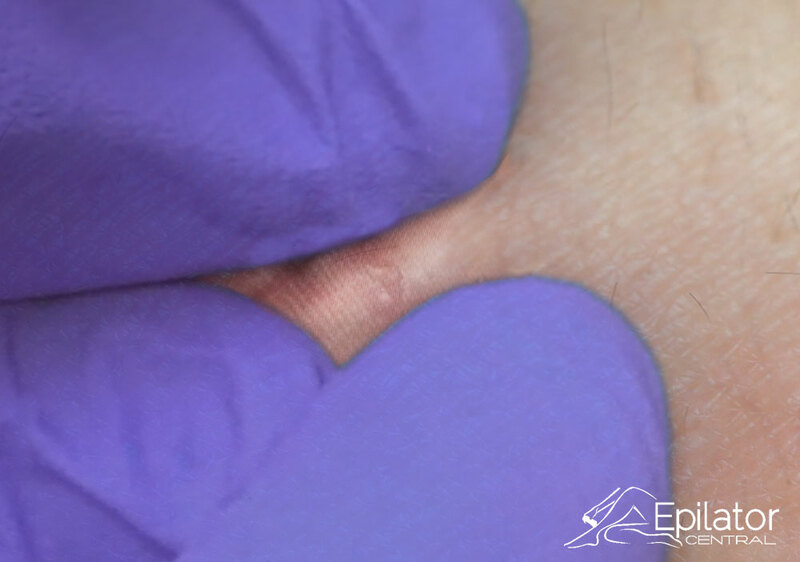 Tough fibrous tissue can grow over the ingrown, making it difficult to get it out. It is best to get these removed through surgery by a doctor. Because the hair has been growing so long under the skin’s surface, you can find very long hairs. After surgery, doctors will prescribe an antibiotic to treat the infection. It’s better to prevent ingrown hair but if you do get ingrown hairs, you have to treat them. If they are superficial, most of the time, they heal on their own or can be teased out. Here’s how to remove difficult ingrown hair. You want to treat ingrown hair like you treat acne with a salicylic acid, benzoyl peroxide, or gycolic acid. These products can be a bit drying so try to find a product with low alcohol content. 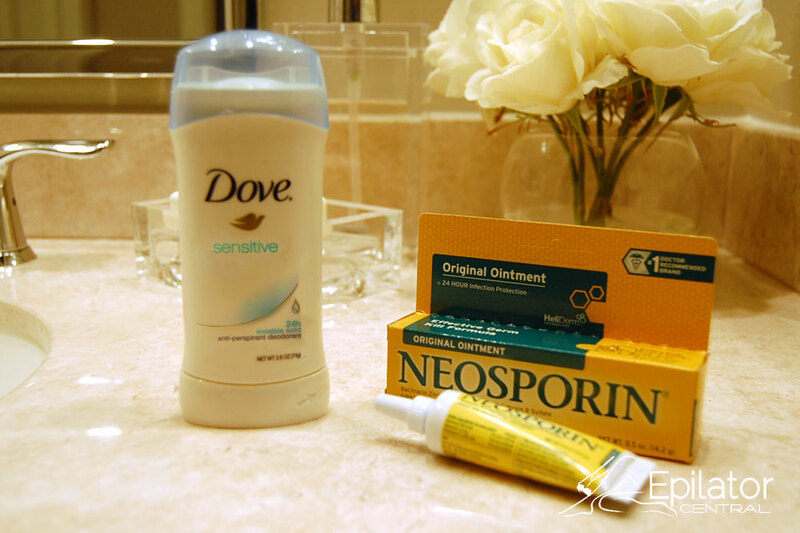 By using a chemical exfoliant, you can’t get rid of ingrown hair right away but you can make it better over time. The first thing you should try is to apply a warm cloth to the area about 4 times a day for about 5 minutes. This will bring the ingrown hair to the surface. Follow that up by applying a chemical exfoliant with either salicylic or glycolic acid to the area. If you get serious ingrowns, you are going to need a glycolic or stronger based product. The chemical exfoliant will break down the surface layer of the skin. While it can take some time, this process will cause the inflammation caused by the ingrown hair to heal or make the hair lift out of the skin so it is easier to remove. Once the hair has emerged at the surface, pull just the tip out. If you have a very deep ingrown hair or bad ingrown scars all over, you can try using a stronger chemical peel like a TCA peel or retinol. However this will burn the top layer off the skin, causing it to slough off and be leathery for the next several weeks. This is serious stuff. You should always start with a weaker peel before moving up to the strong stuff. You are literally burning the top layer of skin off. It is a very intense treatment but it has a great effect on lightening any ingrown scars and removing trapped hair. Within a week, the skin will get dark and the peeling will be like a very bad sunburn. You can’t pick at it or scratch it even though it itches like crazy. You want the skin to shed naturally. Depending on how deep your ingrown hair is, it might take several treatments. If you have never done it before, I recommend getting it professionally done because if you do it wrong you can end up with a scar, which will be even worse than what you started with. 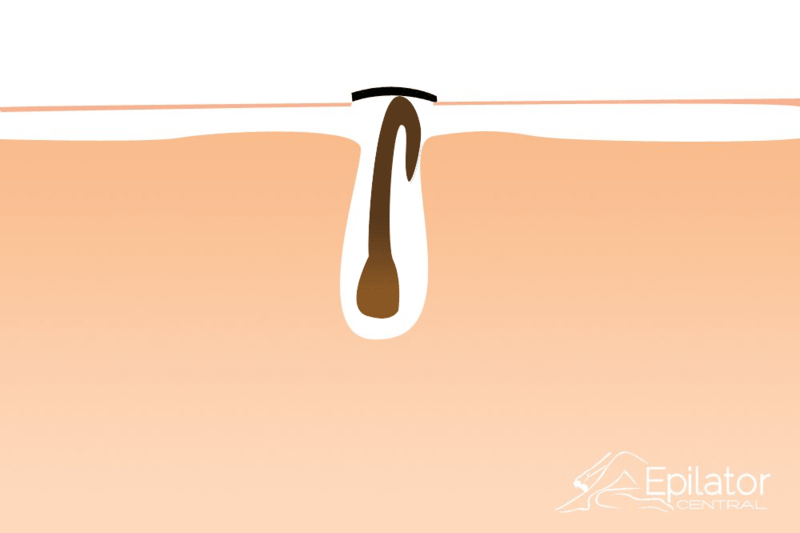 If the follicle is open, blackhead ingrown hair can be extracted gently by draining the contents inside. Always wear gloves and sanitize the skin with an antiseptic. If the follicle is not open, you can slightly open it with a sterile needle. Once the follicle is open, sometimes you can use a drawing out salve like Prid to help drain the infection inside. The active ingredient is ichthammol. Any generic ichthammol drawing salve will work as well. It has a nauseous tar smell, looks completely disgusting, and is super messy. If you get it on your clothes it permanently stains them and you’ll look and smell like a mechanic. It has a hard candle wax consistency and can be difficult to spread. Put it on real thick with a q-tip. You are supposed to smear it all over the ingrown hair and apply a large bandage on top to protect it from staining your clothes. I like to place a warm compress on top after because it makes it work quicker. Every morning change the dressing. Repeat each day until the infection has reached the surface. The deeper the infection the longer it takes. In my experience, it won’t always work, but I find it is much safer to use a drawing out salve to draw out the infection then to squeeze the contents out, which can lead to scarring. If you are still unable to get the infection out, gently squeeze both sides of the blackhead until the the follicle releases the hair along with the infected blood and pus inside(gross I know). This method can lead to scarring. Don’t force the contents out all at once. Instead tease it out slowly applying gentle pressure on both sides and wiping the infected material away. If it does pop, use hydrogen peroxide and cover it with an antibiotic cream like neosporin. Then apply a band aid. Embedded ingrown hair usually has to be extracted. The fastest way to remove ingrown hair is by taking the tip of a sterilized needle or Tweezerman nosetip tweezers and releasing the hair. You can do this at home, but I highly recommend that you go to your aesthetician or dermatologist to get the hair professionally extracted like this. You got to make sure everything is sterile or you can get a serious infection. Be sure to wear protective gloves and sanitize the skin. If you do it right it won’t leave a scar. You have to be sure not to pierce the dermis layer of skin. First sterilize the needle or tweezers by wiping rubbing alcohol on it with a cloth. You can also use a lighter. Now take a warm cloth and hold it on the area with the ingrown hair for 5 minutes or so. This should bring the ingrown hair just beneath the skin. You should be able to see it under the skin. You can use a torch to see it, but if you get it professionally extracted they sometimes use a magnifying lamp. With the needle or tweezers, apply pressure just beneath the hair, close to the surface of the skin, forcing the hair out. The needle should enter perpendicularly to the hair. Always insert the needle as close to the follicle as you can. This allows you to hook the hair out. Gently lift tip of the needle breaking the skin above it. Do not dig the needle into the skin. The incision should be just a 1 mm below the skin. The hair should not be tweezed out from the root but left to stick out of the opening. Wait at least a week until the skin around the hair heals before removing the hair. 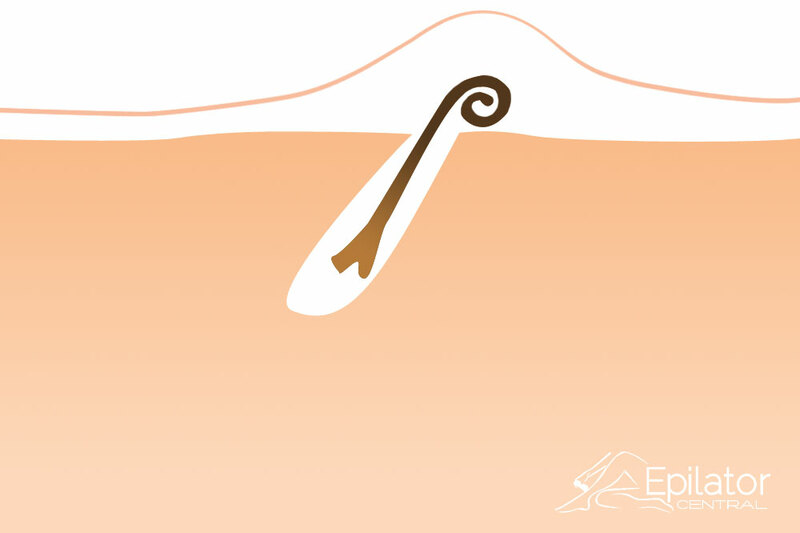 If the hair is removed completely, the opening will scab and a newly growing hair will be trapped under the scab, creating a repeating cycle of ingrown hair. This can lead to multiple ingrown hairs growing out of one pore. 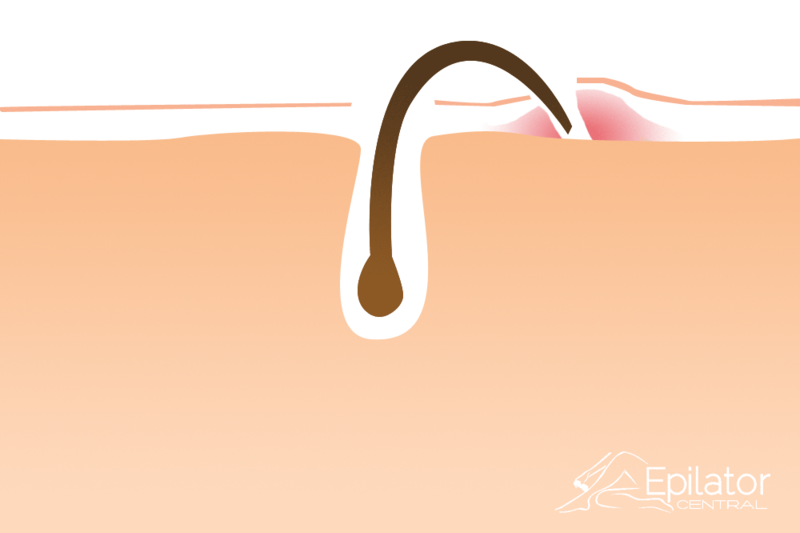 If you have a recurring ingrown hair in the same area after extraction, sometimes the hair follicle will just die. It’s difficult to avoid ingrown hair completely. Only electrolysis and laser hair removal will completely eliminate ingrown hair. The easiest way to remove ingrown hair for good is to get laser hair removal either pulse dye or 540 pulse, which will hopefully kill the root. It’s costly and timely, but for some people it can be the only solution. Do you get ingrown hair? How do you get rid of them? Thank you for the extremely informative website. I was trying to find information about an ingrown hair and am sure I learned everything there is to know about causes, prevention, safe treatment and follow up care. I feel like I took a college course INGROWN HAIR 101 and aced it. Thanks for the valuable information. Hi Len! Thanks for the wonderful comment. I am glad you found it helpful. Hugs. Thank you so much for all of this information!!! I have a question about tca peels for dark spots on the bikini line. Would you recommend shaving a few days before you use the peel? Or wait a few weeks after the area heals to shave? Thank you so much for all of this information!!! I have a question about tca peels for dark spots on the bikini line. Would you recommend epilating/shaving a few days before you use the peel? Or wait a few weeks after the area heals to do so. Thanks! Good information that I really needed, thanks so much!